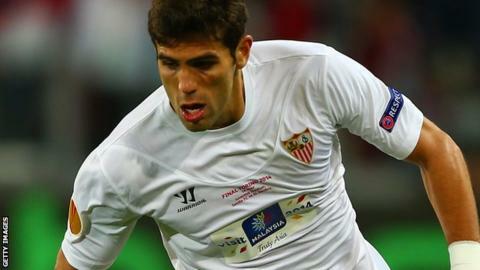 Tottenham have signed defender Federico Fazio from Sevilla on a four-year deal for an undisclosed fee. The 27-year-old has won two caps for Argentina and won the Europa League with Sevilla last season. He is Tottenham's fourth summer signing after Swansea pair Ben Davies and Michel Vorm and defender Eric Dier from Sporting Lisbon. The centre-back will replace Michael Dawson in the Spurs squad after his move to Hull this week.